Open throughout the year, Wakehurst is the country estate of the Royal Botanic Gardens, Kew. 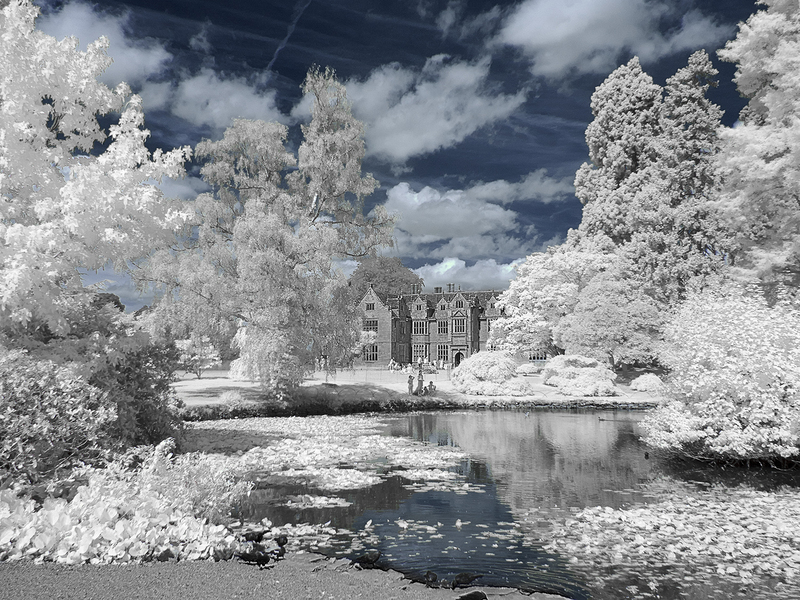 Wakehurst Place is leased from the National Trust and is managed by Royal Botanic Gardens, Kew. 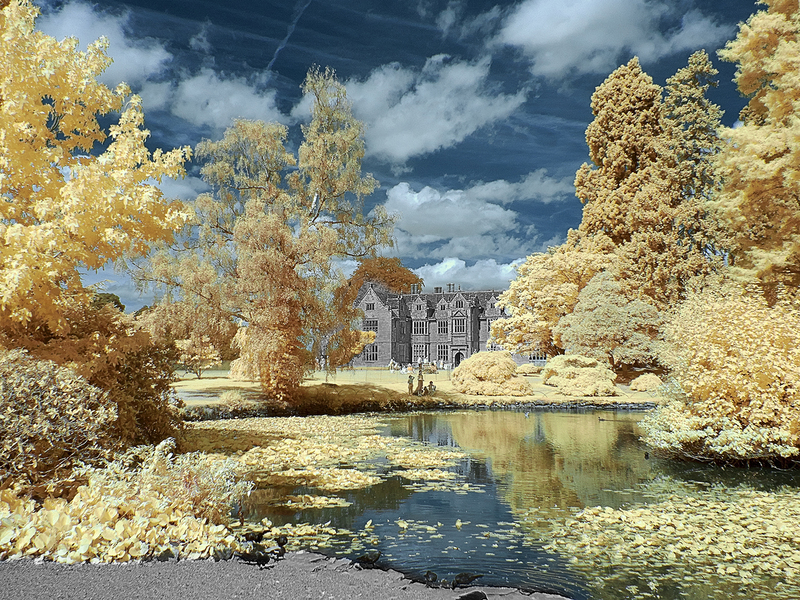 This first image is fairly straightforward with the processing giving a black & white image with a blue sky; this is one of my favourite methods of processing infrared images. The second image shows, to my mind at least, the beautiful and slightly surreal effects that variations in the processing can give. These are the same images – just the processing details have been changed.